Welcome, my thirsty followers, to Part 2 of the Perfect Margarita series. In Part 1 we went over the basic make up of a margarita, but now we must delve deep into the details. 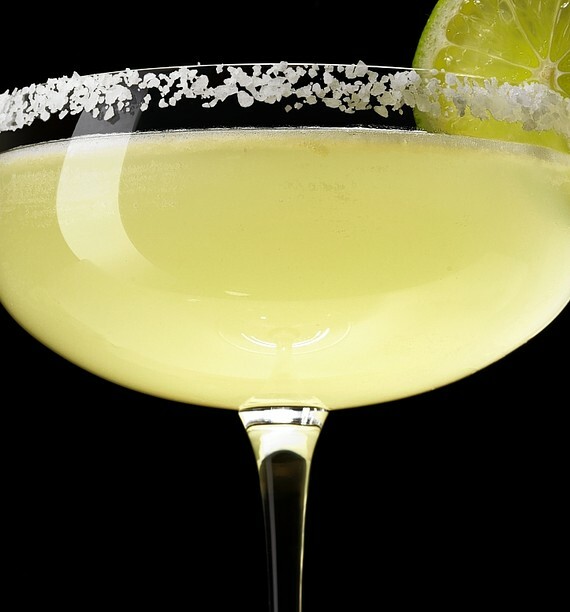 Although each part of a margarita is important, one could argue that the Tequila you use is the most essential. Why you might ask? Since tequila makes up roughly half of the entire drink, which type/brand you decide to use will have a major influence on the overall taste of the margarita. Lets begin this segment by quickly cutting out the rubbish that would never be found in a Perfect Margarita. Mixto - A mixto is any tequila that is not made from 100% Blue Agave. Mixto tequila is a minimum of 51% Blue Agave and the remaining from other sugars, typically cane sugar. Other products allowed in mixto tequila include artificial coloring, oak extract flavoring, glycerin, and sugar based syrups. Mixtos tend to be your cheaper "well" grade gold tequilas and yes, sorry to say to you Cuervo lovers, Cuervo Gold is a mixto. These added sugars and artificial flavorings tend to infringe on a tequilas natural citrus and herbal flavors and aromas. Mezcal - Just to clear things up quickly, Mezcal is NOT a type of tequila. Unlike tequila, which must be made up of at least 51% Blue Agave, Mezcal can be made from any of the other 100+ types of Agave. Also unlike tequila, which must be made in Jalisco, Mexico, Mezcal can be produced anywhere. Mezcal tends to carry a large amount of bite and a harsh aftertaste, which simply takes over when used in a margarita. Anejo - Anejo is a tequila that has been aged from one to three years in oak barrels. These tequilas tend to take on a smokey, woody, or caramel flavor very similar to a light cognac. The aging process causes the tequila to lose most of original citrus and floral notes inherited from the Blue Agave plant, making it a bad mix for a margarita. Now lets take a look at what types of tequilas we should use in order to make the perfect margarita. Remember, we all have different preferences and palettes, so it would be unfair for me say that I know exactly what tequila you will like. What I am hoping to do, is point you in the right direction by setting down some guidelines and providing you with some examples of what you should try. It is then up to you to go out and explore which margarita is perfect for you. Blanco - Blanco, also known as Silver or Plato tequila, is clear in color and is not aged. The freshest of all tequilas, Blancos tend to hold the citrus and floral flavors of the Blue Agave plant best, making it a great compliment to the orange liqueur and lime juice found in a margarita. Much like the grapes used in wine, a Blue Agave's taste is strongly influenced by its soil, and these flavors are most identifiable in a Blanco tequila. Reposado - Aged from 2 to 12 months in oak barrels, a Reposado tequilas offers a taste of both worlds. For margarita connoisseurs looking for a more complex drink, a Reposado offers both the citrus and floral notes found in a Blanco and the smokey and caramel flavors of an Anejo. This allows the Reposado to still compliment the other parts of a margarita while offering some extra depth when it comes to taste. Just the Right Bite - You don't want a tequila with too much bite, just as much as don't want a tequila with no bite at all. The point of any cocktail is to taste each part of the drink without having any one part overwhelm the experience. When it comes to tequila you should plan on spending between $20-$35 on a bottle. I know what you are thinking, the "good" tequilas are way more expensive than that. It all depends on what you mean by "good". A smooth $50+ dollar tequila like Avion or Don Julio is a "good" tequila to sip while served neat or on ice, but would I say that it would be a part of my Perfect Margarita, I don't think so. Whew, now breath! You now officially know more about tequila and margaritas then your average bartender and should feel confident the next time you step up to the bar. Stay tuned for the next post of this series, as we go over the final two parts of the Perfect Margarita. Is anyone thirsty? So I went searching through the LaHa archives and look at what I found! Can you spot any familiar faces? Alright fellow tequila connoisseurs and burrito lovers, the new website for La Hacienda Del Rio is officially up and running. Saying that LaHaNH.com is complete/done/finished would be a straight out lie. LaHaNH.com is ALIVE!!! The site will constantly be changing/altering/developing (Yes, thesaurus.com may be open on my next tab). So make sure to check us out from time to time for new specials, events, food items "yum". Also, follow me, Patrick aka your digital conductor for all things La Hacienda, by simply clicking on any of the social media links at the top of LaHaNH.com. That's right, I tweet, I blog, I quote FUNNY movies, and pin pictures like its my job, (cuz it is). I also enjoy any comments/feedback/suggestions you all may have so critique away and let your feelings flow free. I'm out of time today, "see you in another life brotha! ".